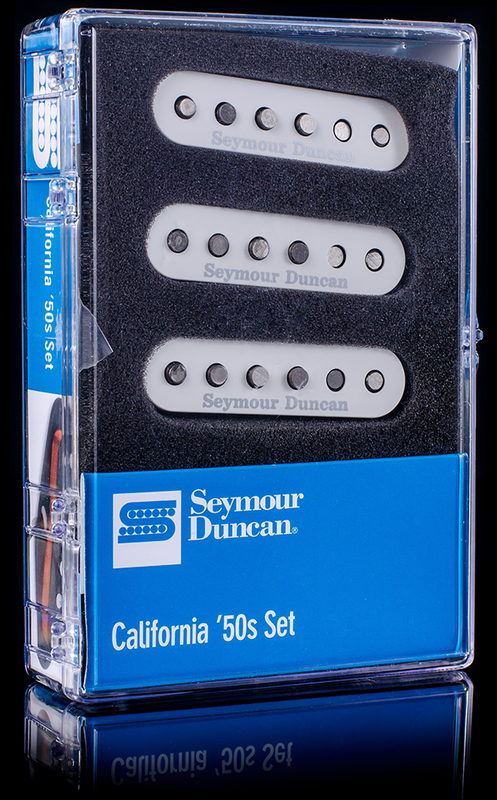 The Seymour Duncan staggered for Stratocaster pickups use hand ground alnico 5 rod magnets and heavy Formvar mag wire with a special wind pattern to produce that bright, glassy, bell tone with all of the bounce and sparkle you'd expect from the best 50s Strat pickups. The treble attack is crisp and immediate, while the low end remains articulate and focused. Chords ring out with clear note to note separation. 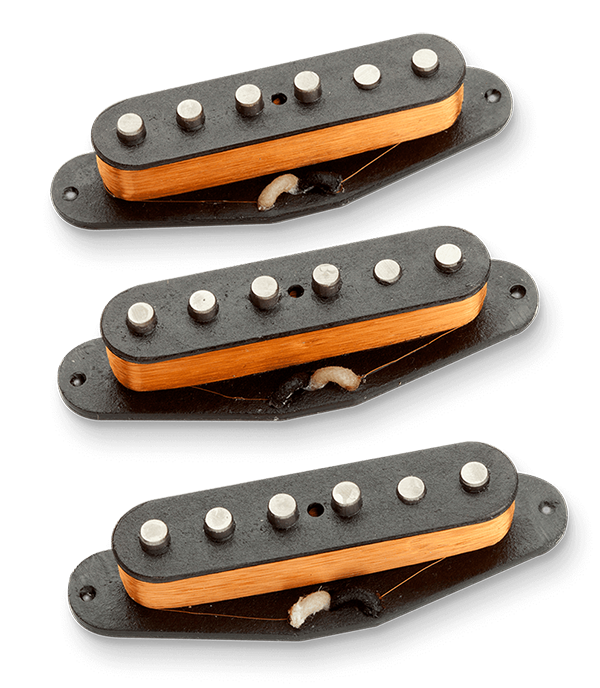 This three pickup set includes a standard wound SSL-1 neck pickup, an SSL-1 Rw/Rp, reverse wind reverse polarity middle pickup for clucky in-between tones, and a slightly overwound SSL-1 bridge pickup for easier pickup balance. Since 1978, we've been building all of our vintage Fender style single coil pickups with the right color and thickness of Forbon flatwork, along with the period correct magnet stagger. Each pickup comes complete with waxed and tinned cloth pushback hook-up wires and traditional keyed bottom plate. We hand file the flatwork, assemble, and lacquer the bobbin just as it was done during Fenders Golden Age. Its potted in our wax formulation for squeal free performance. Includes a set of 3 white "Seymour Duncan" logo pickup covers, 6 nickel plated Philips round head mounting screws and 6 rubber surgical tubing pickup height adjustment pieces.